Hi guys!! I am still alive, still kicking and still hustling to get Laurier done! I will show you some in-progress shots tomorrow. I'm still trying to get the hang of this school schedule with Wren plus fit in the all-time-high level of projects I am tackling. It's all very fun and exciting but sitting at the laptop to do a blog post seems like a luxury I just don't have time for yet. But I am in the process of simplifying and setting a schedule that will allow me to pop in more (at least once a week I'm hoping!). But speaking of Popping!! 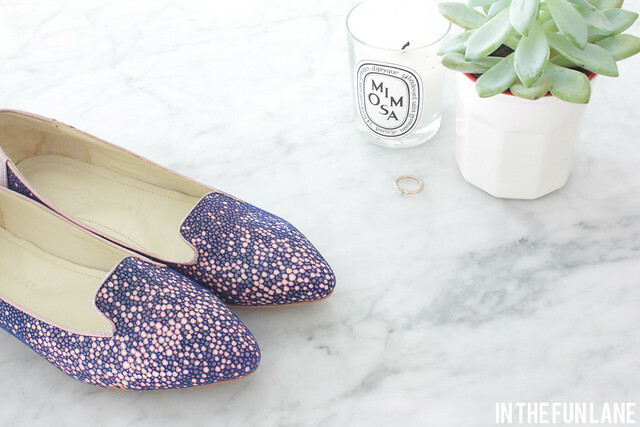 I just had to share my current obsession: Poppy Barley's confetti flats! You may recall me including a pair in my 'Like Want Need' post back in June, they were on my NEED list! Don't they just scream 'Holly!'? I am so lucky to say I now have my very own pair! The colours and pattern had my heart off the bat, but I was most excited by the fact that they are custom fitted. You see, I have wide feet. Like embarrassingly hard to fit wide feet. 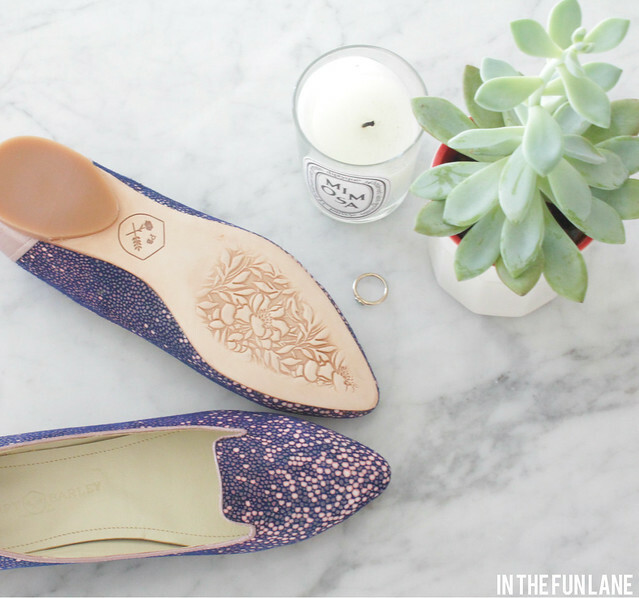 It makes nearly all cute flats besides runners very close to agony to wear. There are always a surplus of bandaids in my purse for this very reason, but not any more! These are a heaven sent gift from above that have changed my view of comfy and cute footwear. The only problem? The bottoms are even freakin adorable and it nearly killed me to wear them outside the first time in fear of dirty-ing them LOL. See? even wide feet can be cute and cosy now! If you even kind of think you need a pair of these I highly suggest snapping up a pair because there are only 77 to go around! 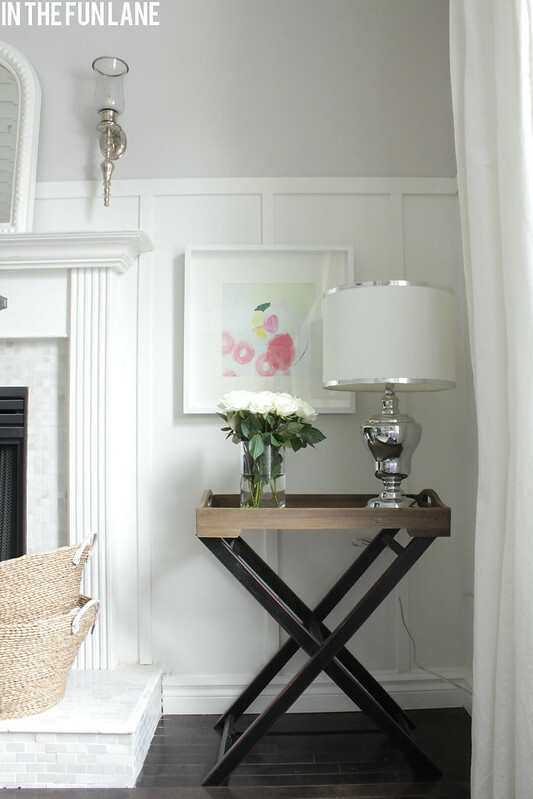 I have been having a lot of fun adding little hits of color around the house this year, usually in the form of pillows or art since I am still a firm lover of white rooms. Commitment to color will probably never come easy to me. But one person who has really made me fall in love with color again is artist Britt Bass Turner. She know how to really bring together unique combinations of color in a soft way that I adore. 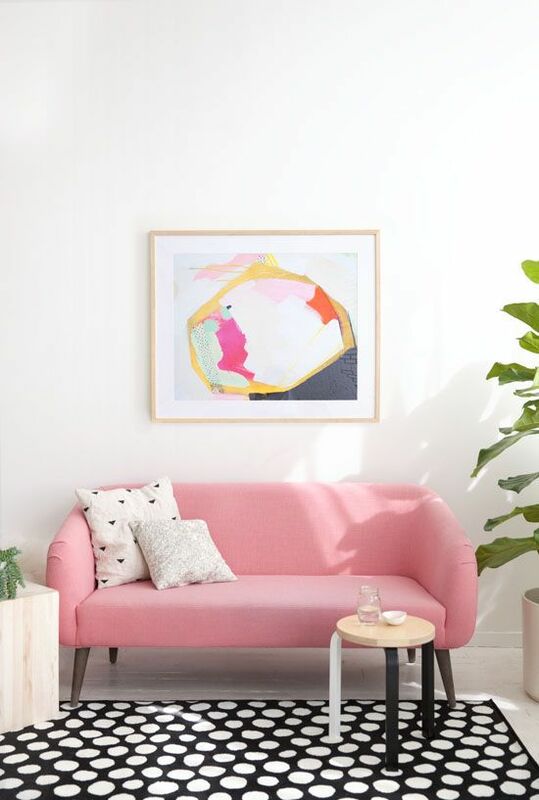 I added this creation of pink/lime green/icy blue (the last two really didn't photograph well, but that is what the blank space actually is) to our family room in March and it has quickly become my single favorite piece of art. 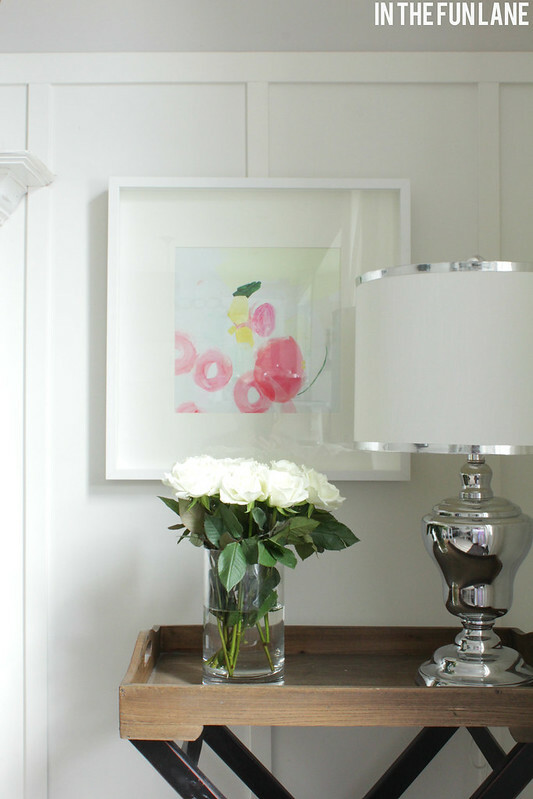 I love how her bright, expressive paintings look in more traditional rooms for that contrast of old and new. The colors are always bold but not over powering. I could easily fill a few more walls with her creations. I recently fell in love. HARD. I discovered the vision and talent of Rachel Castle. Her sunny Australian outlook mixed with clean white backdrops make her creations nothing short of perfection. She is primarily an artist, but also has a fun line of bed linens and cushions. I immediately knew I needed a piece from her insanely happy line so I settled on the HELL YEAH seen above. Bad words never looked so good! I would be more than happy to fill a whole house with her creations. Just tell me this doesn't make you happy! Rachel at work in her studio. 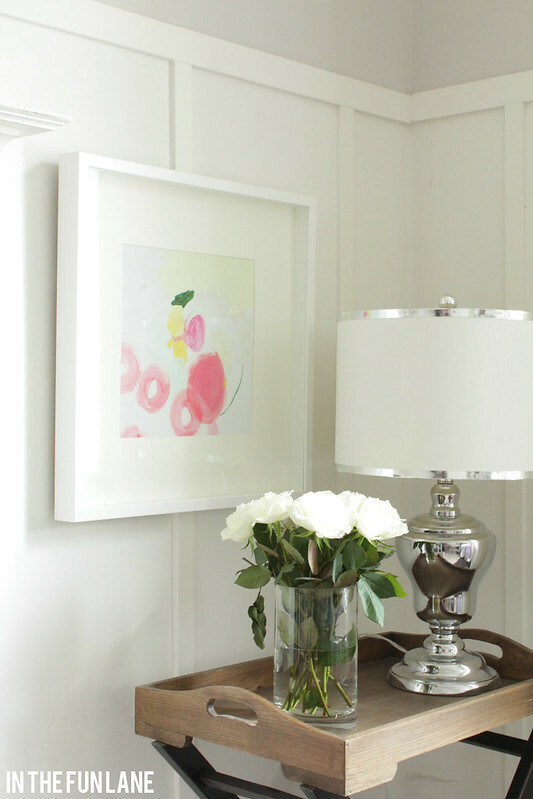 Check out Rachel and her beautiful creations here, I promise you will leave with a smile.